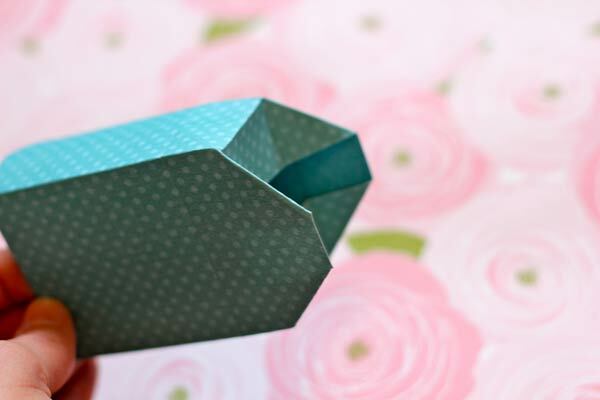 I know that the holidays are over but it’s always a good time to be thinking about how to wrap a gift. It’s one of my favorite things to do. 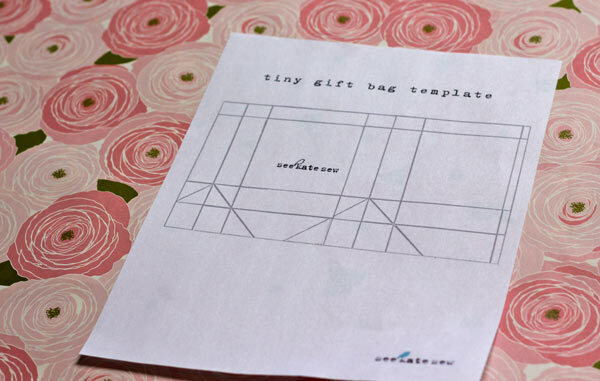 I got a cute cute(double cute) little gift bag at the store on mega-after-Christmas-clearance and it inspired me to figure out how to make them even smaller. 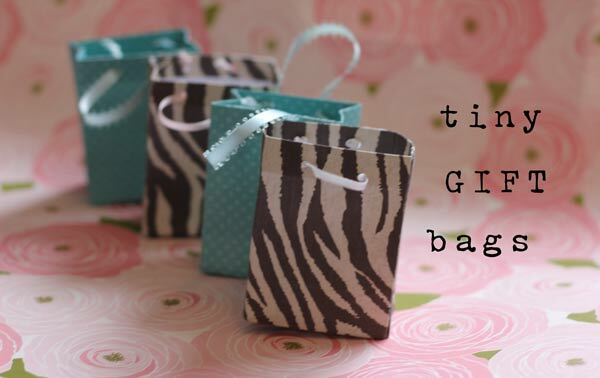 These little bags are about 2.5″ wide and 3″ tall. Everything is cuter in a smaller version. I drew a template so I can make hundreds more. And made it available for you so you can make hundreds too. Download it here. 2. 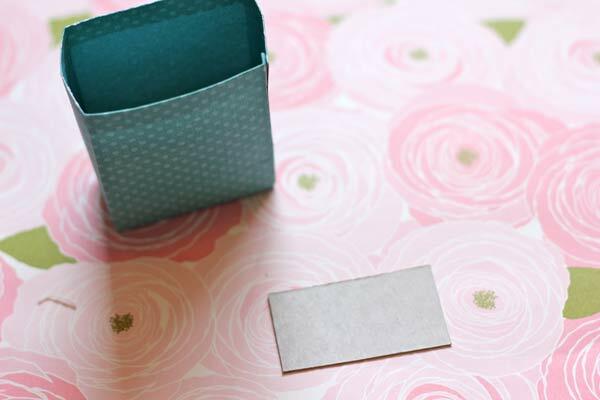 Stick a piece of double stick tape to the back of the template and stick in on the paper you are using. 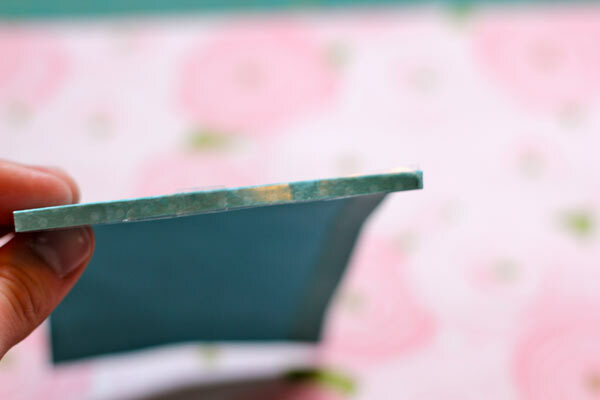 I recommend a sturdy scrapbook paper. 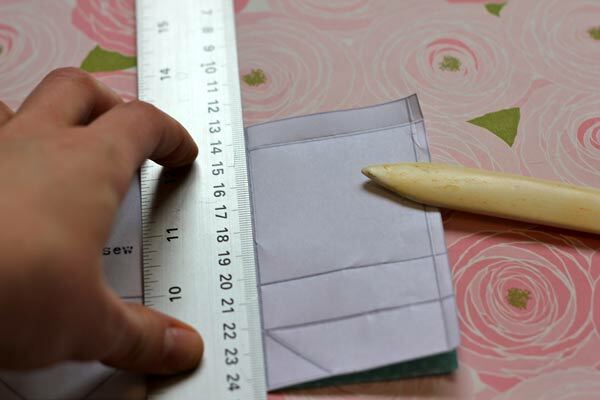 Cut out the template and score the fold lines with a bone folder or pencil. 3. Fold along all the lines you just scored. 4. Fold over the top of the bag and stick down with double stick tape. 5. 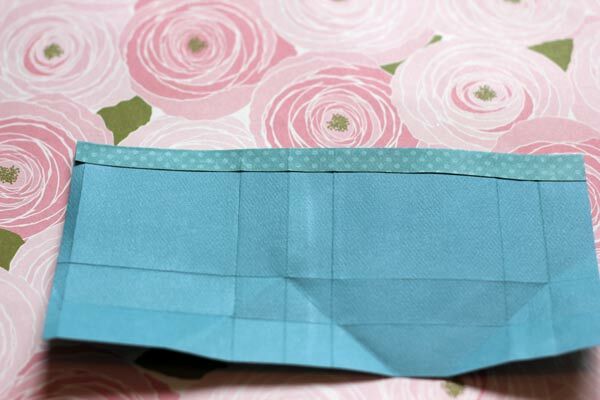 Fold over outer flap and cover with tape. Stick it down to the other side of the bag on the inside. 6. 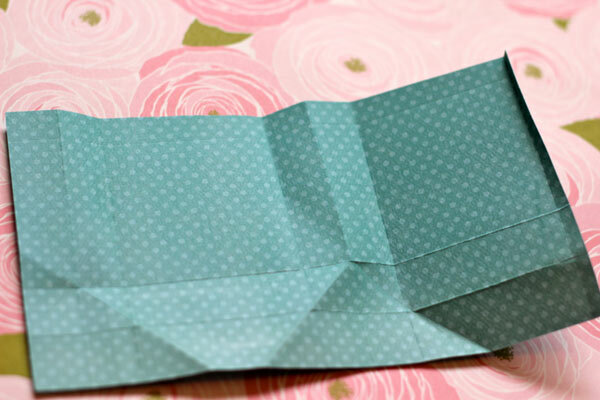 On the bottom, fold down the sides. The diagonal score lines will help make this easy. 7. 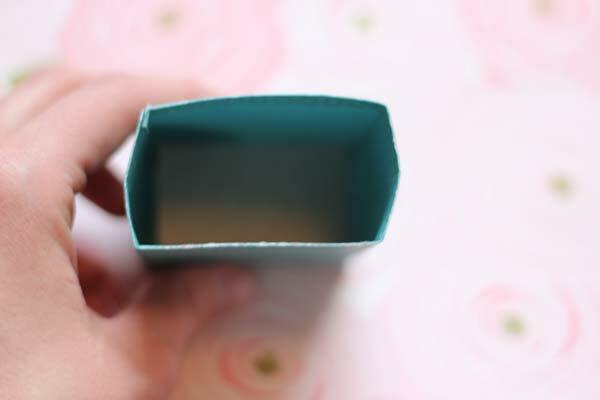 Fold over the other two flaps and secure with double stick tape. 9. Punch holes for the handles at the top. 10. 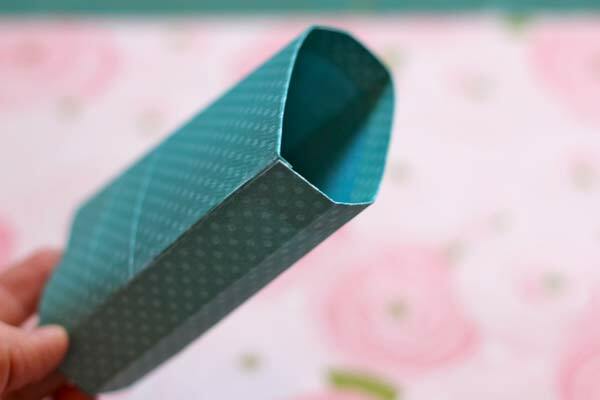 Using 6″ of ribbon, tie a knot and feed it through one hole. Feed back through the other hole and tie another knot. Repeat on the other side. 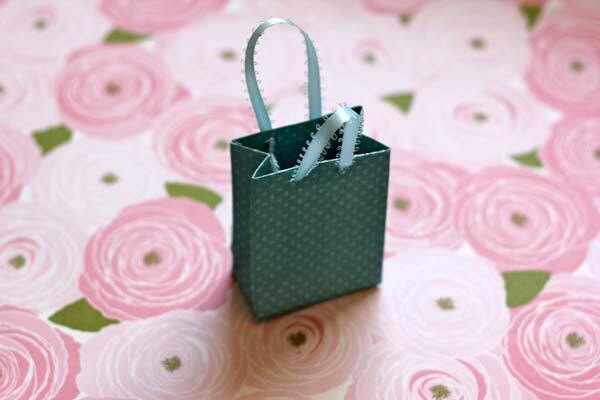 What do you do with a tiny gift bag?? Stuff it with vintage buttons and give it to a crafty friend? Party favors? A photoshoot? So so cute. 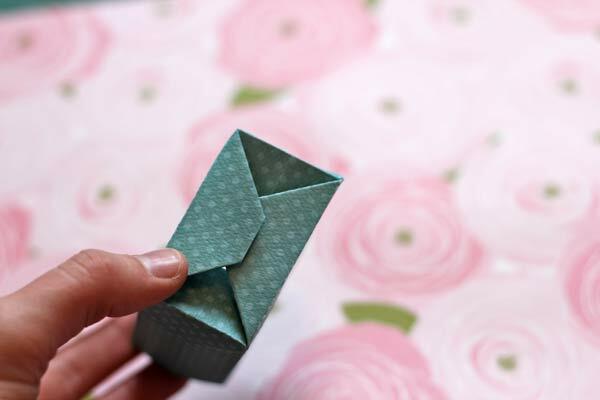 I love these little bags, what a great idea and a great tutorial. Love your Site! These are SUPER SUPER cute! Thanks for the template — can’t wait to make some! I love it! Now I am excited to find things to go in them for gifts! These are adorable! I definitely want to make some. :) They would be perfect for teeny gifts like handmade jewelry! Amazing! Thanks for including the template so I don’t have to experience that much trial & error. How sweet of you to share!!! Thanks. Wrapping is also one of my favorite things. I love to take as much care in wrapping the gift as I do in picking it out/making it. Wow…how many times do I just want a tiny bag like this. A cookie, couple pieces of fudge, tiny vials of beeds…so many uses. Darling! Thanks for sharing. Came over from blog hop. I am your newest follower. 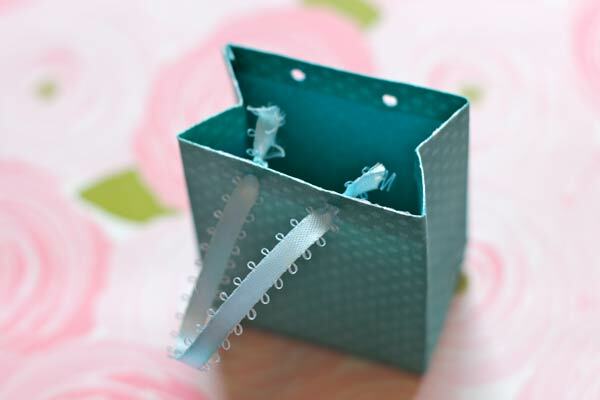 So cute, filing away the idea for future gifts… thanks for sharing! Those are adorable, I love itty bitty things! Too cute…I am thinking they would make the “bestest” advent garland! I will give it a go tomorrow and let you know how I make out…thanks so much….I am your newest follower. Brilliant tutorial! 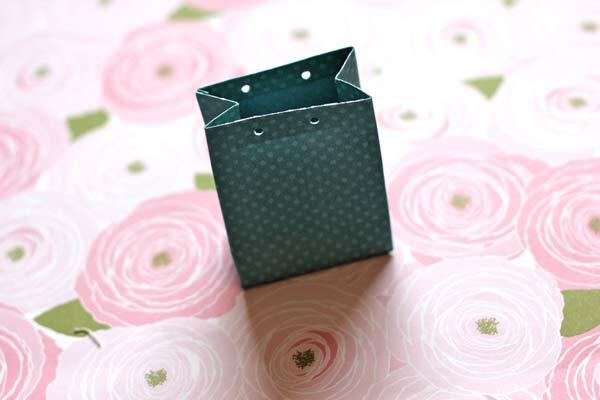 Love these little cute bags. 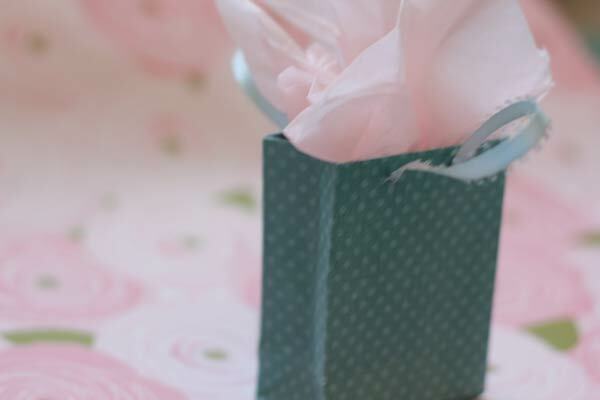 These would make PERFECT party favors or wedding/baby shower favors! 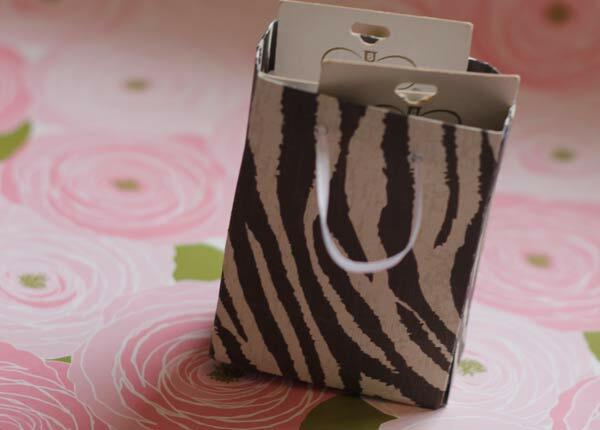 I am loving the zebra print gift bags! Thanks for linking up to SS! First Too Cute! Second, I can’t get the template. Third, these would be perfect for our grown girl shopaholic advent calendar. 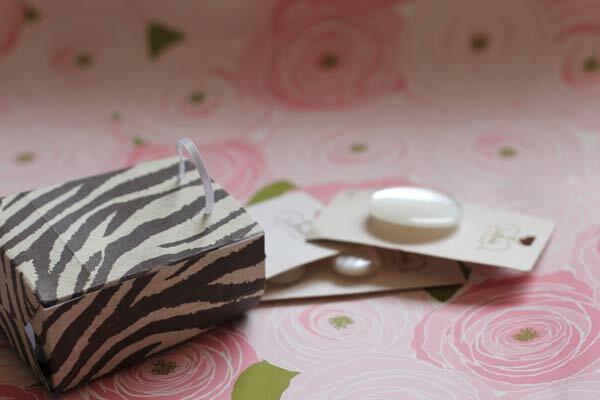 I also have a friend who makes custom earrings and these would be awesome packaging for them in her trademark paper wrap. Please check the link for the template. I would love to make a ton.